Scooper - Technology News: What will travel look like in 2030? 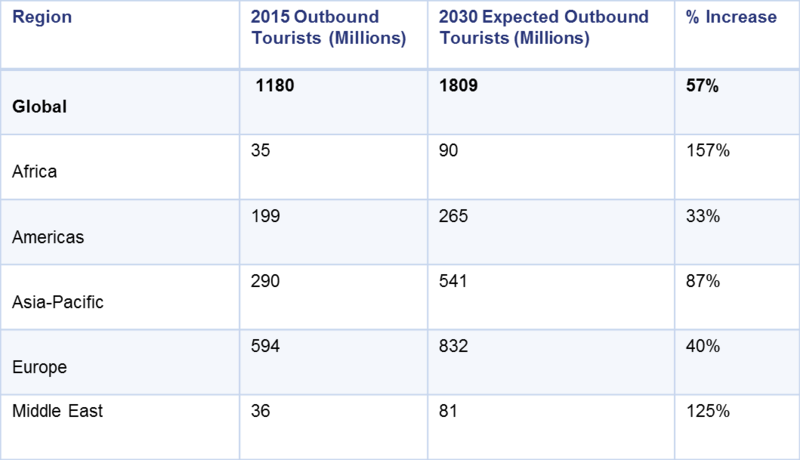 The travel and tourism industry has grown dramatically in the past decades, reaching nearly 1.2 billion international arrivals in 2015, compared to 25 million in 1950. That’s a growth of 4,700% – and this number is only expected to get bigger, reaching 1.8 billion international arrivals by 2030. You might be surprised, but it’s one of the fastest growing economic sectors in the world. While historically, travel was a luxury only offered to those wealthy enough to afford it, the lowering of travel barriers and falling real travel costs have led to the flourishing of the travel and tourism industry. These factors, combined with the growth of disposal income, the growth of the middle class in many growth markets, and changing attitudes of people towards travel, have enabled the surge of international travel. But as we look ahead, who will be travelling in 2030? It is clear that the big winners will be Africa (157% increase), the Middle East (125% increase) and Asia-Pacific (87%). While Europe and the Americas are expected to continue growing, their rate is incomparable to the other regions. Not only will emerging destinations become larger source markets, but they will also become more attractive destinations. 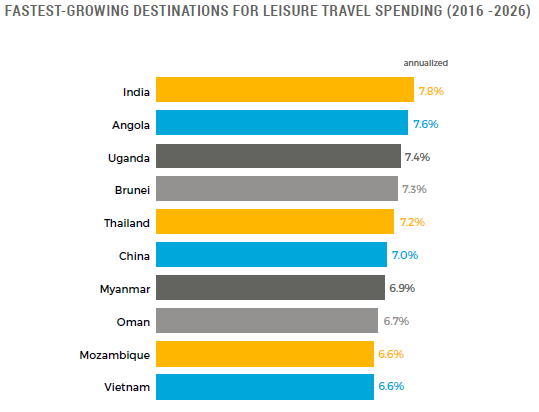 Looking at it from a different angle, which countries will be the fastest growing destinations for leisure travel spending between 2016 and 2026? While you may not have been to any of these destinations yet, you might want to start exploring some of them. Still, a person’s country of origin is not the only way to describe them. 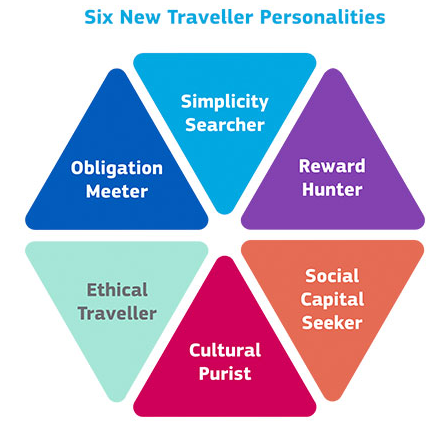 Amadeus undertook a great study , categorizing people into six traveller tribes on the basis of their motivations for travel rather than on geography. What do these “travel personalities” mean? Reading these descriptions, you probably realize that these groups are not mutually exclusive – and that there are many other ways of “dissecting” the future traveller. For instance, are you a baby boomer or a millennial? We are all interesting combinations of this traveller of the future. Today, I am a European, millennial reward hunter.